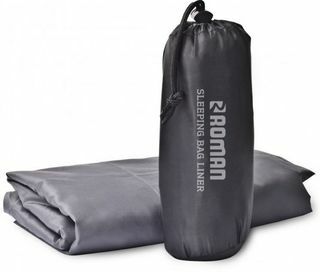 The Roman Palm Lite is a very compact and lightweight sleeping bag for it's temperature performance. The Roman Visa is a the warmest model in the Palm range, rated to 0 deg.c. 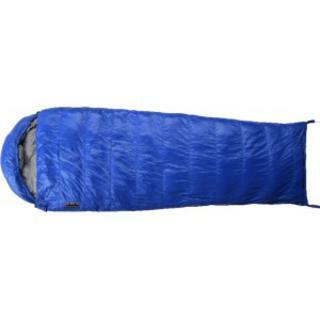 Yet still a very compact and lightweight sleeping bag for it's temperature rating. 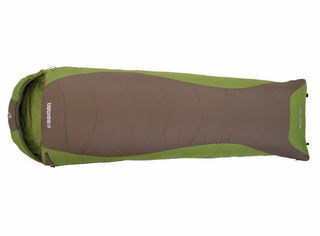 The Roman Junior 400 is a genuine kids camping sleeping bag that will keep them warm all year round. 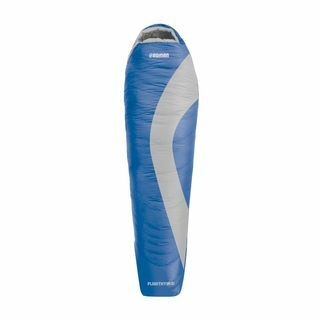 The soft poly cotton lining is wrapped in 400g/m2 hollow fibre fill and finished with a durable polyester shell to ensure it keeps performing trip after trip. 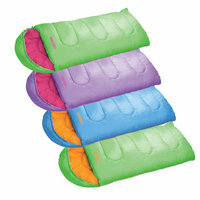 The Roman Junior 400 is a genuine kids camping sleeping bag that will keep them warm all year round. 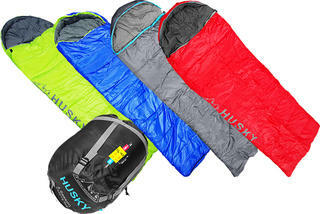 The soft poly cotton lining is wrapped in 400g/m2 hollow fibre fill and finished with a durable polyester shell to ensure it keeps performing trip after trip. Don’t you love it when you get to your camp site, start setting up and the kids are off exploring and running around with new friends? You get some time to yourself and they are really tired when bedtime comes around! The Roman Junior 400 will ensure your kids are warm, dry and get a comfortable nights sleep. Kids are always after adventure and the Junior Sleepout ensures they get their well deserved rest! Now available in four awesome colourways that really appeal to children! 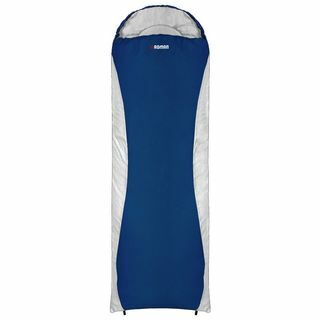 Ideal for sleep outs, school camps, caravan, weekends away and general camping use. 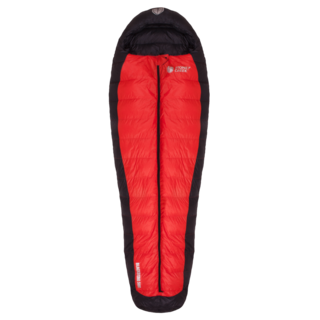 The Luna sleeping bag is a great general purpose hooded bag with a minimum temperature rating of -5°C degrees and a generous 85cm width. 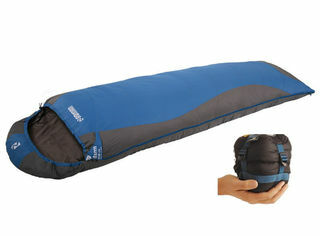 Left and Right hand models can be zipped together to form a double sleeping bag. Auto lock zips with Velcro closure. Separate side and foot zips. Draft tube with anti bite band. Chest collar and inner pocket. 3 year warranty. Style: Envelope With hood Internal Fill: Q1 - 17 Hole Hollow Core Fibre Fill. Fill Weight: 300gsm (2 x layers 150 grams per square meter) Shell Fabric: 190T Breathable Polyester Lining Fabric: Flannelette Dimensions: 195cm +35 Long x 85cm wide. Comfort: -5°C Colour: Green & Grey. 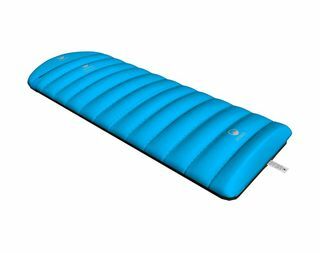 The Roman Flight Hybrid sleeping bag combines down and synthetic insulation for superior performance. 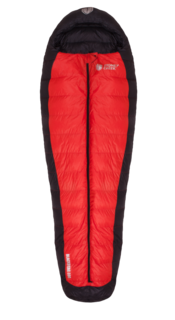 The top uses Allied® Silver down which provides exceptional lightweight warmth and compressibility with a layer of Thermolite® Extra synthetic insulation over the top. Two layers of Thermolite® Extra are also used in the base of the bag for the ultimate in lightweight insulation under compression. Roman uses premium quality, responsibly sourced and sustainable processed down certified through the Responsible Down Standard (RDS). The Roman Passport is a the warmest model in the Palm range, rated to -5 deg.c. 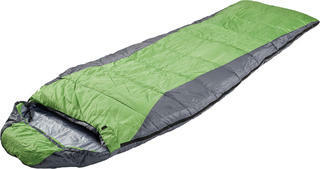 Yet still a very compact and lightweight sleeping bag for it's temperature rating. 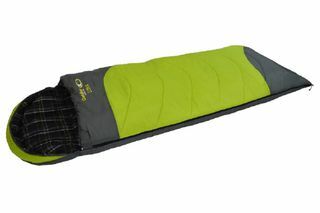 The Outer Limits Heaphy series gives you the freedom to take your sleeping bag with you and barely feel the load. The Heaphy -10 is lightweight and compact. 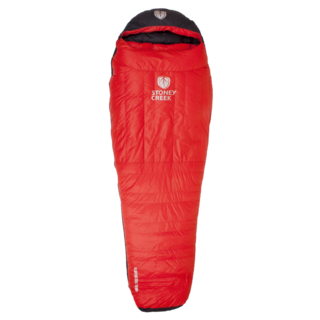 The Outer Limits Heaphy series gives you the freedom to take your sleeping bag with you and barely feel the load. The Heaphy -10 is lightweight and compact. 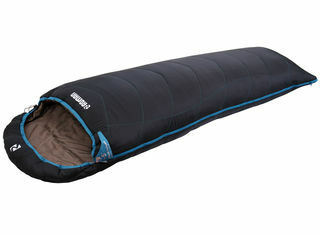 The Domex Black Ice is a well proven sleeping bag suitable for year round use. With its synthetic fill it provides warmth even if the bag gets wet. Featuring double layer offset construction to eliminate cold spots. 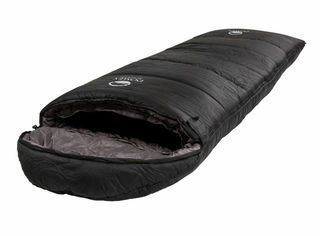 The Domex Black Ice is a well proven sleeping bag suitable for year round use. With its synthetic fill it provides warmth even if the bag gets wet. Featuring double layer offset construction to eliminate cold spots.